As any child of the 1990s (or their parents) can tell you, Nickelodeon television shows were simply the best. And Aaahh!!! Real Monsters is right up at the top of the list of best cartoons from that decade. 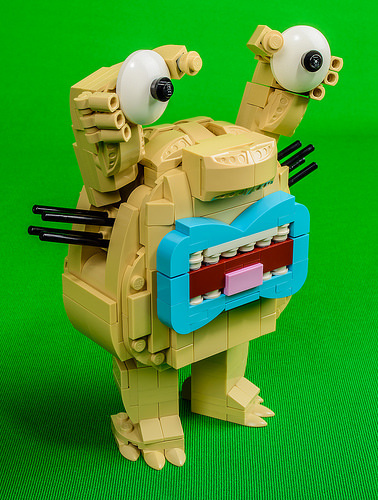 And judging by this terrific LEGO version of Krumm, it seems that Julius von Brunk agrees with me. Just look at Krumm’s signature armpit hairs (so stinky), his blue lips (terrifying), and his hand-held eyeballs (where will he roll them next?). Here’s hoping Ickis and Oblina are right around the corner (or hiding under Julius’s bed).